May 17 Here Is How To Get Kids Curious In the Kitchen. Day 13 Of Finding Empathy. Summer is just around the corner, and there might be a few parents out there looking to avoid the "I'm bored!" summertime slump. As adults, it's hard to have empathy for kids who whine and complain about having nothing to do! However, there is a new way to banish the "I'm bored!" phrase from your kids' summertime vocabulary while still firing up the brain synapses. Without spending a ton of money. Without hours of material prep. Without scouring the internet for activities. If your kids love to tinker, try new things, and explore the "why" behind the "what," the STEAM Kids In the Kitchen book is the answer to keep kids engaged and learning all summer long! There is both a print and ebook available to purchase here. And until May 23rd with every STEAM Kids in the Kitchen purchase, a STEAM Kids In the Activity Placemat will be included for FREE! 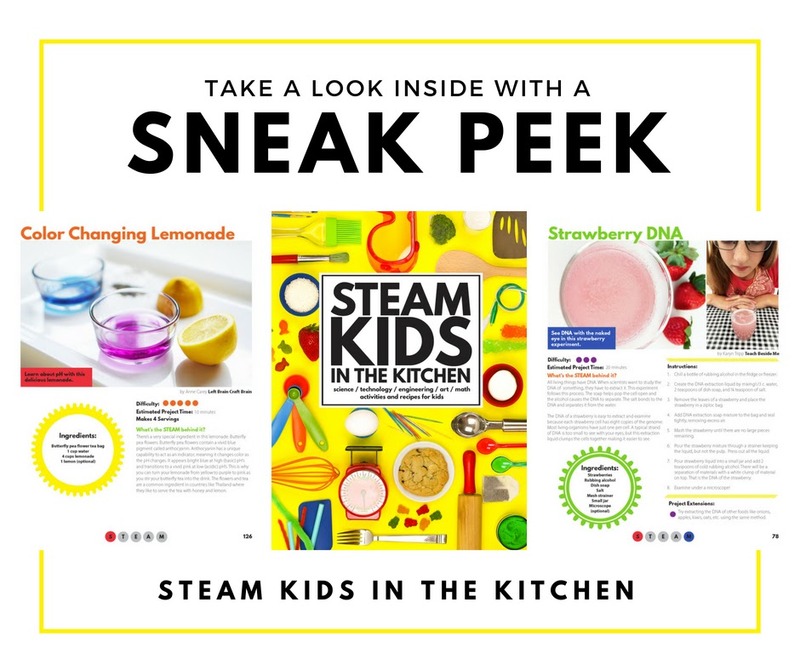 Enjoy cooking up learning with STEAM Kids in the Kitchen and keep the boredom at bay all summer long. Let me know how you like blowing cheese bubbles and catching sunlight with sun catcher cupcakes! May 23 This Is The Love Affair You Need To Have This Spring.